The members of Music Business Worldwide’s Advisory Board provide regular feedback on the direction of MBW and its content. The Board is comprised of established senior executives from all corners of the global music industry. As EVP, General Manager of INgrooves Music Group, Amy Dietz oversees day-to-day operations at one of the world’s most successful independent music distributors. Amy came to INgrooves from Alternative Distribution Alliance (ADA), where she rose from a regional advertising manager to Vice President of Label & Artist Development. 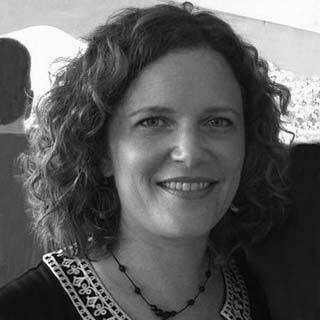 A veteran player in the independent music distribution space, Dietz’s expertise in both traditional and emerging music revenue streams makes her a perfect fit for INgrooves, which has invested heavily in proprietary distribution, analytics & reporting technology for the modern record business. While at ADA, she took an active role in developing and managing the company’s label partner services including global physical and digital distribution, merchandise sales, direct-to-consumer sales, general sales and marketing. Amy began her career in music with Title Wave, a Minneapolis mom-and-pop record and video outfit where she learned the retail business from head to toe. She then segued to the independent label Red Decibel, who was releasing albums from mostly Midwest hard rock bands. 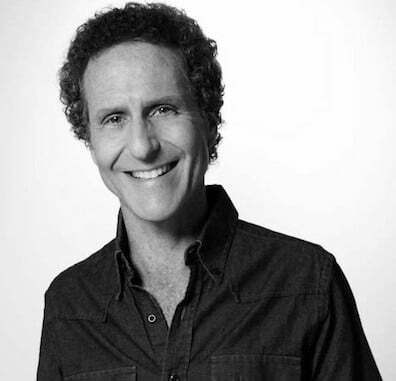 Daniel Glass is Founder/President of Glassnote Entertainment Group, a New York-based independent music company born in 2007. Glassnote is home to Grammy Award winners Phoenix and Mumford & Sons as well as the likes of The Temper Trap, Two Door Cinema Club, GIVERS, Childish Gambino, Oberhofer, Daughter, Half Moon Run, CHVRCHES, Flight Facilities, Panama Wedding, Jeremy Messersmith, Foy Vance and Tor Miller. In 2011, Rolling Stone Magazine named Glassnote ‘Best Indie Label’ and a year later it was named ‘Label of the Year’ at the A2IM Libera Awards. Glassnote was also named the ‘No.1 Independent Label’ by Billboard in both 2012 and 2013. Daniel began his musical career as a DJ at the famed Regine’s Discotheque in New York City. He went on to SAM Records and continued at Chrysalis, then SBK Records. Later in his career he held prestigious roles including President/CEO of EMI Records Group N.A., as well as being a founding President of Universal and President of Artemis Records. Before Glassnote, Daniel played a pivotal role in artist success stories including Billy Idol, Wilson Phillips, Sinead O’Connor, Blur, Jesus Jones, Erykah Badu, The Pretenders, Pat Benatar and many more. In 2013, Daniel was named as MUSExpo’s ‘International Music Person of the Year and SESAC honoured him as the 2013 ‘Music Visionary of the Year.’ Daniel was also featured as one of ‘Pop’s Top Hitmakers’ by Hollywood Reporter and part of Billboard’s ‘Power 100’ in 2013 and 2014. 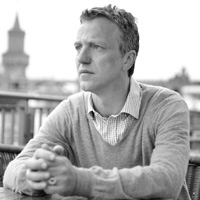 Fredrik Ekander is owner and CEO of Cosmos Music Group, one of the leading independent music companies in Scandinavia. Cosmos’ history dates back to 1966. Today the company boasts the biggest independent catalogue of master recordings in the region, and is also a distributor of many other independent labels. Fredrik began his career in the music industry in the early nineties as A&R for Chrysalis in Stockholm, Sweden. Following this, Fredrik was hired to build the local roster of MCA Music Scandinavia (later Universal Music) from the ground up as its Head of A&R and later Deputy MD. After leaving Universal he spent three years as MD of Sony/ATV Music Scandinavia, upon which he was relocated to London, to take charge of Sony/ATV’s international creative operations as the company’s European VP of A&R. But after a decade in the major world Fredrik opted to regain his indie roots, returning to Sweden and co-founding Cosmos, which included a recording studio, publishing company and label. The Cosmos label worked closely with Bonnier Amigo Music Group and, after an early release quickly went Gold, Fredrik was voted on to the board of Bonnier Amigo’s music publishing company, getting promoted to CEO for the whole group in 2008. In 2009 Fredrik and three friends completed a management buyout of the entire company from Bonnier AB and subsequently re-named it Cosmos Music Group. 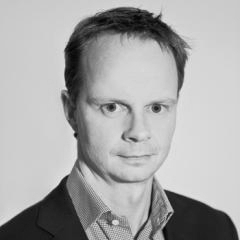 Fredrik has been on the Impala board since 2008 and is also a board member of IFPI Sweden. Hartwig Masuch is a music publisher with more than 30 years of industry experience. Having studied economics in Bochum, Germany, he worked as a freelance music producer and soon started to combine both his personal passion for music and his economic sense. After running his own independent music publishing company for several years, he joined Warner Music Publishing (Germany) as General Manager Repertoire in 1985 and was promoted to General Manager & Vice President Creative Affairs in 1987. Four years later, in 1991, Masuch joined BMG Music Publishing as Managing Director & Senior Vice President with responsibility for Germany, Switzerland and Austria, a position he held until 2007 when the company was acquired by Universal Music Group. Subsequently, he advised Bertelsmann, BMG’s parent company, as a consultant during the sale of Bertelsmann’s 50 percent shareholding in Sony BMG Music Entertainment. In October 2008, Masuch was appointed CEO of BMG Rights Management steering the continuous growth story of the newly formed music rights management company which is a subsidiary of international media company Bertelsmann. 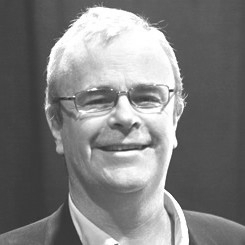 John Reid joined Live Nation Entertainment as President of Live Nation Europe-Concerts in January of 2012. Prior to joining Live Nation Entertainment, he served as President of Warner Music Europe and Vice Chairman of Warner Music International. He joined Warner Music Group in 2000. Reid has played a role in the international marketing and development of several US stars including Michael Buble, Red Hot Chili Peppers, Madonna, Green Day and Linkin Park, as well as the global prominence of European artists such as Muse, James Blunt, Paolo Nutini, and Enya. Earlier in John’s career, he served as President of Island Def Jam in the US, CEO of Polygram Canada, International Marketing Director at London Records, and in artist management. Reid holds a business degree from Trinity College Dublin. Kenny Gates founded [PIAS] from his parent’s basement in Brussels, Belgium in 1982, alongside the friend who has remained his business partner to this day, Michel Lambot. An ambitious entrepreneur with a huge passion for independent music, Gates has established [PIAS] as one of the biggest independent music companies in the world, with 16 offices across the globe. [PIAS] has grown through both organic expansion and key acquisitions including Red Rhino Distribution in the UK (1988), Rough Trade Distribution in Benelux (2013) and the Cooperative Music business, bought from Universal (2013). [PIAS] Artist & Label Services, which has been providing distribution, sales and other key services to partners for nearly 30 years. Its long-term partners include Mute (Nick Cave & The Bad Seeds, Goldfrapp), XL (Adele, The Prodigy), Warp (Aphex Twin, Boards Of Canada), Fat Possum (Iggy Pop, Black Keys), Epitaph/Anti (Tom Waits, Wilco) Matador (Queens Of The Stone Age, Belle & Sebastian), Nuclear Blast (Nightwish, Dimmu Borgir), Rough Trade (The Libertines, Alabama Shakes) and Domino (Arctic Monkeys, Franz Ferdinand). Konrad von Löhneysen founded Embassy of Music GmbH in 2009. Four years later, in 2013, he founded Embassy of Sound & Media GmbH – and in the same year, entered into an innovative JV deal with Germany’s private TV-network pro7Sat1 to jointly market and sell EoSM’s repertoire. 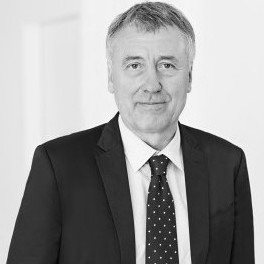 Based in Berlin, von Löhneysen has been a member of the Board of Bundesverband Musikindustrie, the German IFPI Group, since 2003. He is also a co-owner of music branding agency ROCKIT Gesellschaft and a shareholder in radio station Flux FM plus Germany’s successful Guerilla artist management company. von Löhneysen launched his career in music in 1982, as salesman in the Nuremberg record shop ‘Musicland’. He worked at the same time as a DJ – a sideline that he still pursues occasionally today. In 1986, he moved to Munich to work for eighteen months at the record label, Dean Records. In early 1988, von Löhneysen switched to BMG where, as A&R and product manager, he argued a strong case for more dance music within the company. In 1989, within BMG he took charge of the Jive and Logic labels, before leaving to spend the year 1990 at BMG in New York. This lead to the subsequent international success of SNAP and Dr Alban. In November 1991, he founded the label Logic in London and NY and in 1993, became general manager of Logic in Frankfurt/Main. von Löhneysen departed Logic on its take over by BMG in 1995 and The Eye of the Storm label became home to him for a year and a half. In 1997 he was appointed MD of the newly-founded German offshoot of Jive Records, working closely with acts like the Backstreet boys and Britney Spears. In January 1999, he was poached by freshly integrated Universal Music Group, resultant from the merger between Polygram and the MCA music group, to run Universal Records Gmbh as Managing Director. 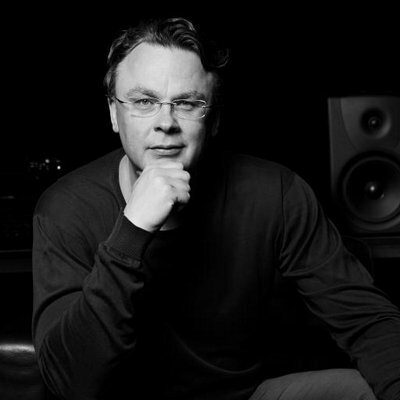 In 2001 he founded the Company Ministry of Sound Recordings Germany GmbH as Managing Director, A&R Manager, and co-owner. The repertoire expanded across the borders of the genre Dance, to incorporate pop, as well as alternative artists ranging from Simply Red and Carla Bruni to Robyn, Calvin Harris, Moby and lately Passenger. In 2003 he was one of 3 founders of the digital distribution company, Zebralution, that in 2007 was sold to the Warner Music Group. In 2008, von Löhneysen acquired a share in the private new music radio station Flux FM, which was awarded an Echo (German equivalent to a Grammy) in 2013 as Media Outlet Of The Year. von Löhneysen jointly started with his partner Konrad Sommermeyer in 2011 Guerilla Management GmbH. With a roster of 15 acts the company has become Germany’s fastest growing management company, returning Platinum and Gold sales of Acts like Tim Bendzko and Frida Gold amongst others. Mandar Thakur is the Chief Operating Officer of Times Music , one of the leading music entertainment companies in the Indian sub-continent. Times Music is a division of India’s largest diversified media group – Bennett Coleman & Co.Ltd./ The Times of India group. 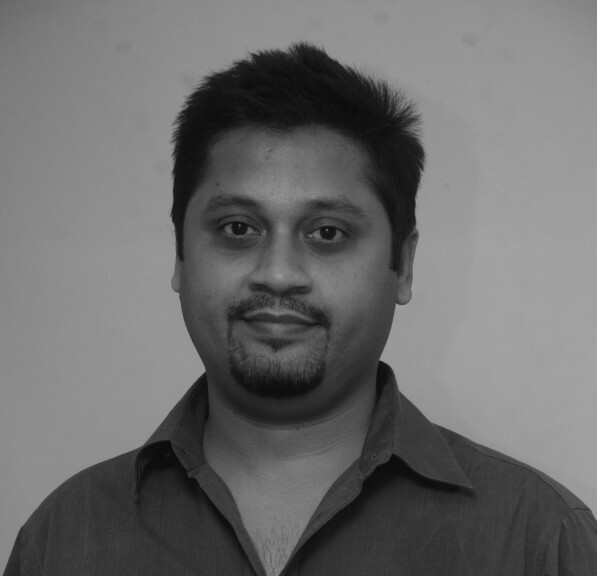 Prior to this Mandar ran his own Digital Music and Media Consultancy with clients in the mobile services, telecom, music and internet businesses. Before that, and over the better part of the last decade, Mandar was part of the senior management at Soundbuzz – then Asia/India’s largest Online and Mobile Music distribution company. He held direct responsibility for the India market for the group. Motorola acquired Soundbuzz in 2008 to complete its services offering. At Soundbuzz, Mandar and his colleagues pioneered the Asian / Indian Digital Music landscape and were openly credited with several ‘firsts’ in the digital business in Asia and India. Having been at the forefront of evolving media for more than 20 years, Mandar’s pedigree remains firmly rooted in the music/content/media business and its development. Martin Goldschmidt is MD and Founder of the Cooking Vinyl Group, which comprises Cooking Vinyl Records, Essential Music & Marketing, Cooking Vinyl Australia, Cooking Vinyl Publishing​, Black Gold management and more. Cooking Vinyl Records, founded in 1986, is home to the The Prodigy, Marilyn Manson, Billy Bragg, Richard Ashcroft, Madness​, The Pretty Reckless, Suzanne Vega and Alison Moyet​. It is one of Europe’s prime artist-focused independent labels and an innovator of services-only deals that claim no stake in artists’ copyrights. Sister company Essential Music offers a full suite of project management, sales and distribution services across Europe. The Prodigy’s 2015 album“The Day Is My Enemy debuted at No.1 in the UK Albums Chart, becoming the band’s sixth consecutive studio album to do so. In recent years, the CV group has worked with Passenger, Faithless, Duran Duran, Sophie Ellis-Bextor, UB40, Rӧyksopp, Amanda Palmer, Frank Black, James and Skepta. Martin founded the UK’s first online distribution company Uploader (sold to IODA/Orchard/Sony), management company and a booking agency FAB (sold to Rob Challice/CODA), and has promoted more anti-nuclear benefit gigs than anyone else on the planet. 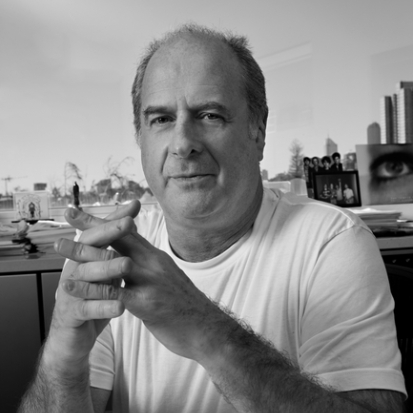 Michael Gudinski is nothing short of an Australian music business legend, who co-founded Mushroom Records and Mushroom Music Publishing more than 40 years ago. The ARIA Lifetime Achievement Award winner was born in Oz to Russian immigrants in 1952. Twenty years later, Michael and business partner Ray Evans staged, managed and booked all the entertainment at the legendary new Sunbury Festival. In the same year Michael simultaneously founded Mushroom Records – which was to eventually develop into the largest independent record label in Australian music – and Mushroom Music, which is today the principal independent publishing company in Australia. At the same time, Michael developed his interest in the touring industry, promoting his first ever international tour – John Mayall and the Bluesbreakers – with Ray Evans to overwhelming success. Michael made more money out of one night’s show than he had ever dreamed possible – and all at the age of 20. Michael was also managing a number of up-and-coming bands at this time, including Chain and Skyhooks. Both acts were to produce number one hits, but it was Skyhooks which went on to cement the future success of Mushroom Records. Their debut album, Living In The 70’s, spent 16 weeks at number one in Australia, selling 240,000 copies. No Australian album had sold more at that point in time. In 1998 Michael sold Mushroom Records to Murdoch’s News Limited Group while retaining the Mushroom Group name. 1993 had seen the Murdoch Group become a shareholder in Mushroom Records and the company continued to move from strength to strength. Considerable successes with Kylie in Australia and the UK had set up Mushroom Records as a notable force in the recording industry, and UK artist signings with Ash and Garbage (four Grammy nominations) and Peter Andre’s #1 success with his Mysterious Girl single and the Natural album in the UK charts cemented the organisation’s expansion into the UK with Infectious Records. The eventual sale in 1998 coincided with the 25th anniversary of Mushroom Records and more than 75,000 people helped celebrate the occasion with a spectacular concert at the MCG in Melbourne, starring more than 60 artists and lasting nine hours. In 2009 Michael was a co-organiser of the Sound Relief concerts held at the Melbourne and Sydney Cricket Grounds. The concerts were staged as fundraisers for those affected by the February 2009 Victorian bushfires and Queensland floods, and featured acts such as Coldplay, Kings Of Leon, Splitz Enz, Midnight Oil and The Presets. Michael continues to work with enormous enthusiasm across all facets of his companies, and is frequently seen trekking from pub gig to entertainment centre, in Australia and abroad, looking for the next big thing to promote – be it through his record labels, touring companies, agencies or publishing arm. French-born but with an Italian passport, then raised in the US, Canada and five other countries, Paolo was poised for an international career from the onset. And he has certainly achieved one – including previous roles as domestic GM of Universal Music Italy and VP, International of Roadrunner Records. Fluency in five languages secured him his first international music industry job in the early ’90s as International Business Affairs Manager at Italian indie label Flying Records. 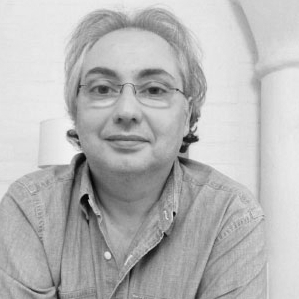 Moving to BMG Publishing first and later being called to run Dutch record label affiliate Arcade Music Italy, in 2000 Paolo joined Roadrunner Records as the Italian territory manager following the rock label’s takeover of the Arcade Music Group. By late 2000, Roadrunner appointed him VP of International at their European headquarters outside Amsterdam, The Netherlands where he spearheaded the label’s international development and was instrumental to breaking Canadian multi-platinum act Nickelback outside of North America. After a stint back in Italy as the GM of domestic at Universal Music, in 2006 Paolo joined Nickelback’s management Union Entertainment Group as their head of International, and in 2010 founded international marketing & promotion services company International Solutions – for which he serves as Chief International Officer. 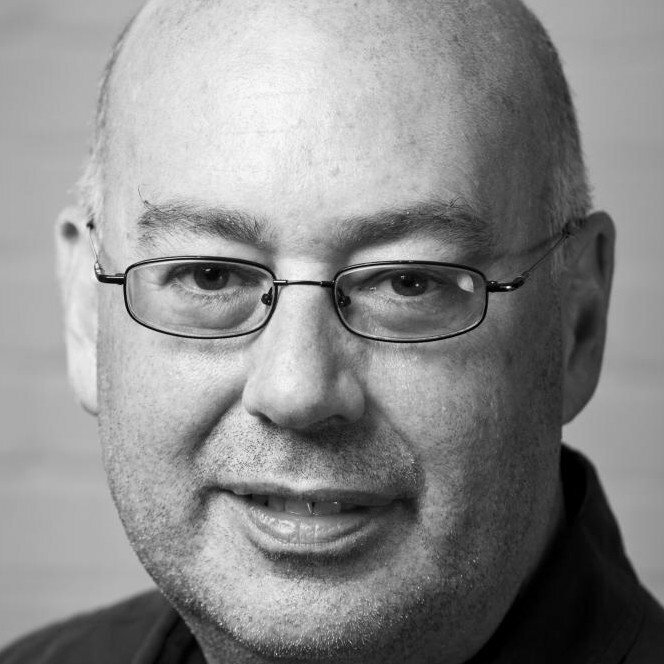 Richard has worked in the industry for forty years, starting out as a London based booking agent. In 1974 he founded Headline Artists, where he became the first International Agent for AC/DC. His career includes managing, directing and chairing positions with BMG Entertainment, Virgin Music and Sony Music. 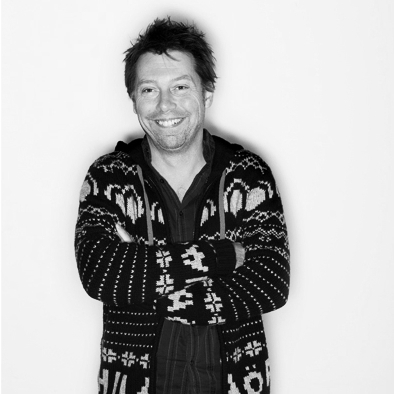 As well as this he has founded Headline Artists, Epic Soundtrax and Virgin-distributed Ten Records. In 2000, he made the deal with Simon Cowell to create Syco Music & Television. After setting up the UK leg of The Firm in 2001, where he worked with Harry Magee, the pair went on to form Modest! Management in 2003. Modest!’s current roster includes One Direction, Olly Murs, Little Mix, 5 Seconds Of Summer, Alison Moyet and MNEK. 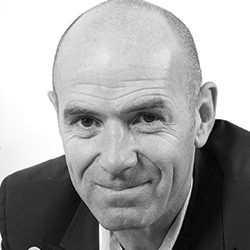 Simon Robson has been with Warner Music since 1998 and has served the company in a variety of roles in London as well as Tokyo, initially as Director of Finance for Asia Pacific and then in a strategic role for Warner Music Japan. He then moved to Warner Music UK, acting as the company’s COO and CFO. Robson was closely involved with the recent integration of the Parlophone Label Group London operation, acquired by WMG in 2013. Robson became President of Warner Music’s Asia Pacific operation in January 2015 and is based in Hong Kong. Willard Ahdritz is the Founder & CEO of Kobalt Music Group, a global independent music rights company catering to over 1,500 clients worldwide. Kobalt has signed some of today’s biggest artists, writers and publishing companies such as MPL, Pearl Jam, 8 Mile Style, Disney, Dave Grohl, Gwen Stefani, Max Martin, Dr. Luke, Ryan Tedder and Shellback among many others. Now in operation for more than a decade, Kobalt employs a staff of 175 in seven offices worldwide and has representatives in more than 20 countries. It offers publishing clients global copyright administration, creative and synch licensing services, online account management tools including weekly balance updates, as well as low cost online pipeline advances. In addition, it operates growing global Neighbouring Rights and Label Services divisions. From 1993 to 1999, Willard Ahdritz was a management consultant at L.E.K. Consulting in London, working primarily in the financial and transportation sectors for major companies. 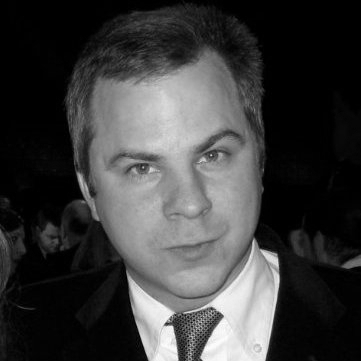 Combining his passion for the music business with his financial background and experience with management of complex information flows, in 2000, Ahdritz conceived Kobalt’s ground-breaking business model: a more modern, transparent and efficient collections structure designed to better service the creative and global administration needs of the songwriter and copyright holder. A music lover and saxophone player, Ahdritz has more than 15 years of music publishing experience. He founded Telegram Records and Publishing in 1986 and ran it until 1991, signing notable songwriters such as Magnus Frykberg, Titiyo, Rob n Raz, Leila K and Papa Dee. Telegram was one of the most successful music start-ups in Sweden, putting Stockholm on the map as a creative hub.